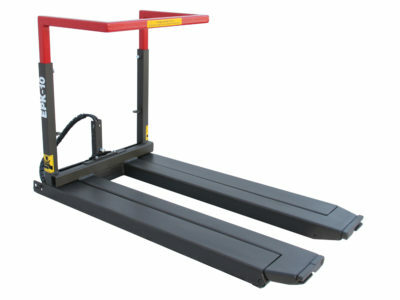 Strong and functional Big Bag Lifter for forklifts. 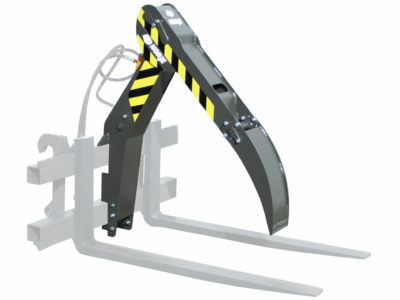 Telescopic arm for long reach and easy to mount and secure on fork arms. 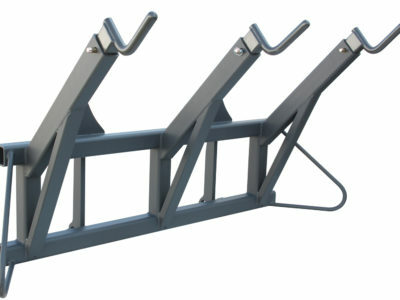 Big Bag Lifter for smooth handling of one or two big bags. 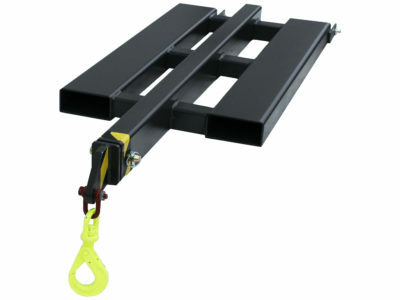 Telescopic lifting arm, max load 1500kg/arm. 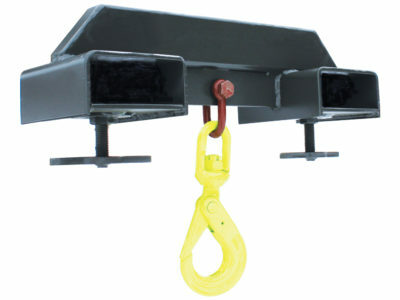 A functional Big Bag Lifter for wheel loaders with 1-4 telescopic lifting arms. 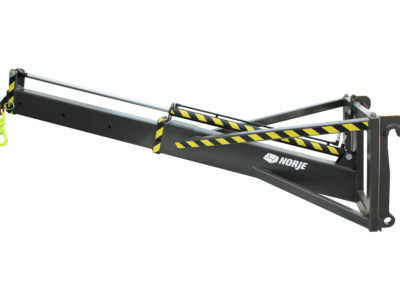 A safe, stable and long reaching telescopic Crane Jib for forklifts. Max load capacity 2000kg. 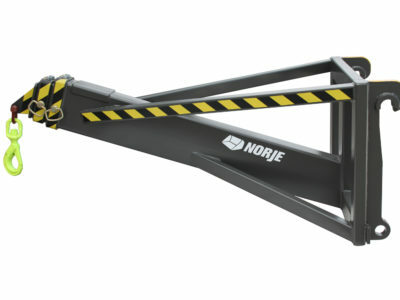 Strong and safe hydraulic Crane Jibs for wheel loaders, lengths 3300-7450mm. 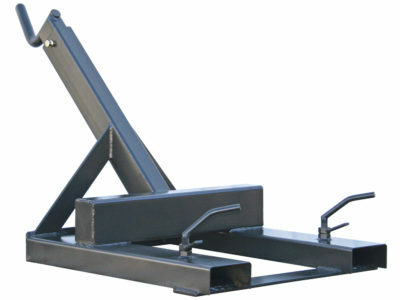 Strong and safe mechanical Crane Jibs for wheel loaders, lengths 1000-7450mm. 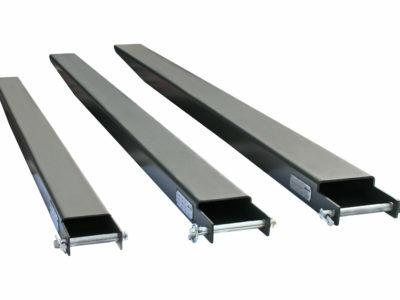 Extension Forks with capacity from 1500kg up to 25000kg, manufactured out of extra high grade steel which allows for a lower weight and slimmer models. Premium fork arms for tough handling. 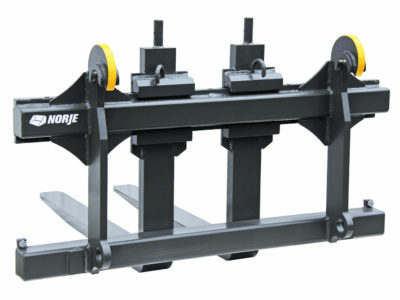 Capacity from 2000kg to 17500kg, adapted for Norje hydraulic and mechanical pallet fork frames. 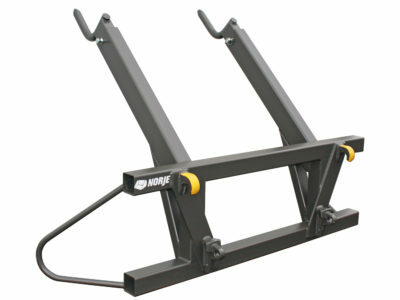 The Forklift Yoke is easily mounted on the forklifts fork arms. 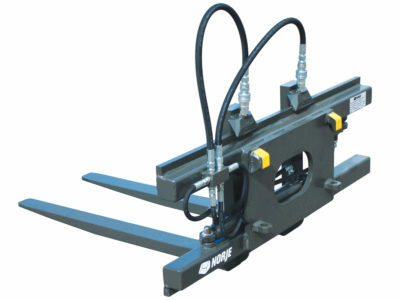 By securing a bolt against the fork arm the yoke can be placed at desired distance on the fork arm. Max load capacity 5000kg. 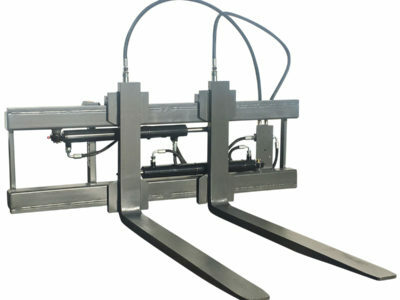 Ett gaffelställ med hydraulisk gaffelspridning för mindre kompaktlastare (maskinvikt <2 ton). Smidigt att använda och den låga egenvikten ger mer kapacitet över till maskinen. Max last 1500kg. Levereras som standard med mindre kompaktfästen, t ex Avant/Norcar. 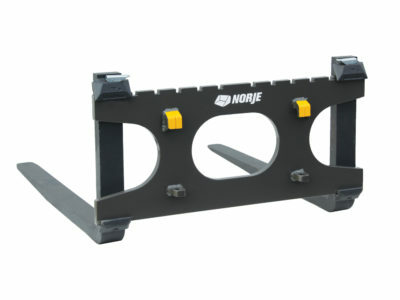 The Log Grab Attachment, for use on Norje mechanical pallet fork model N140 (2500kg), is an excellent option for holding logs and brushwood in place. 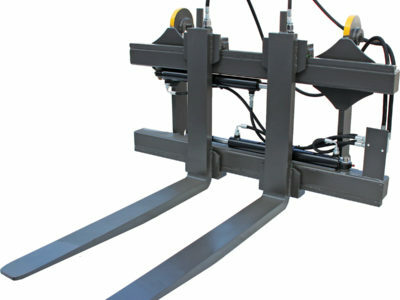 A high quality hydraulic pallet fork that simplifies work for the driver when handling pallets. Max load 2500kg. 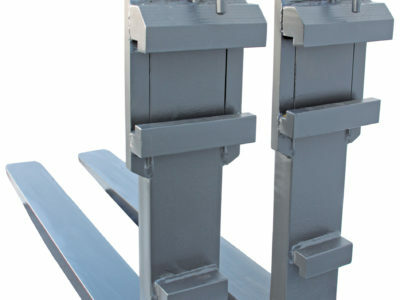 Robust and strong hydraulic Pallet Forks for wheel loaders and telescopic handlers. Max load capacity 4 to 18 tons. 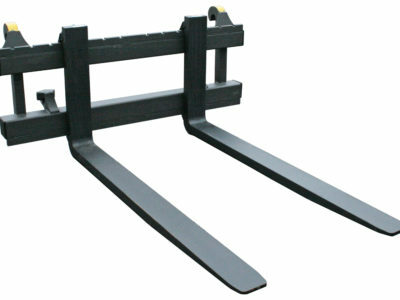 A dependable and sturdy pallet fork frame. Max load 2500kg. 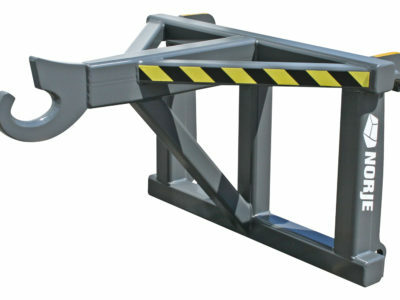 A dependable and sturdy pallet fork for compact loaders. Max load capacity 1600kg.  Norje Smidesfabrik AB manufactures and develops implements in Sweden for wheel loaders, tractors, skid steer loaders and forklifts. The company was founded in 1943 and since then has always strived to provide customers with efficient and robust implements of high quality. Through high standards of workmanship and materials we supply implements with strength and durability to customers throughout northern Europe.